After studying at Laval University and at The London School of Economics and Political Science, Mr. Garcia joined the Québec Ministry of Social Affairs at the end of 1969. He occupied various positions and was Assistant Deputy Minister when he left in 1978. 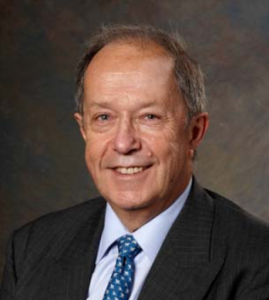 He became a partner of Hébert, LeHouillier et associés, consulting actuaries from 1978 to 1982. He joined the Standard Life Assurance Company as Senior Vice-President and Actuary in 1983. He was President Canadian Operations of Standard Life from June 1993 until his retirement in December 2004. He was a director of Standard Life from January 2000 until December 2004. He is now a corporate director. Mr. Garcia is a director of Cogeco, of Cogeco Cable, of Goodfellow, of BTB Reit and of Excellence Life Insurance Company. He is a member of the Board of L’Institut de recherches cliniques de Montréal and of the Ombudservice for Life & Health Insurance.